It’s World Food Day today! 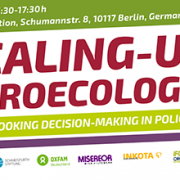 Being one of the most celebrated international days, the World Future Council is especially proud that we just distinguished eight truly exemplary policies scaling up agroecology with our Future Policy Award 2018. 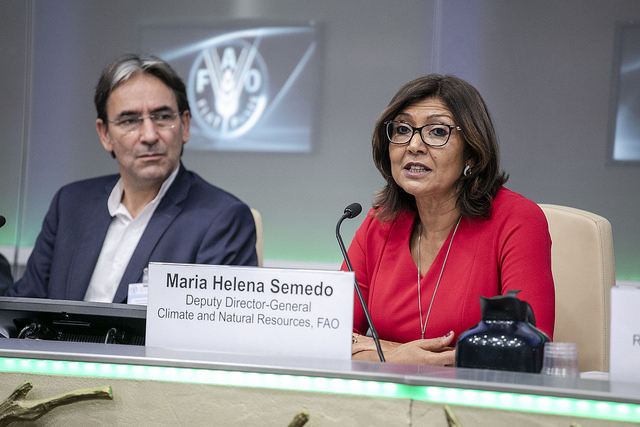 Among them are policies from Brazil, Denmark, Ecuador, India, the Philippines, Senegal, the United States of America, as well as TEEBAgrifood that accelerate the transformative change in the way we produce and consume our food. 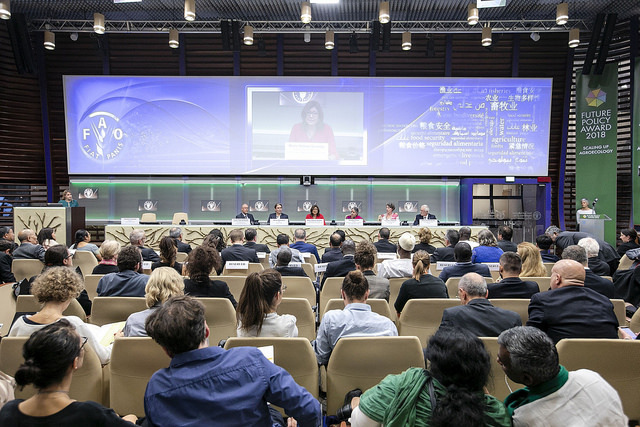 Yesterday evening a high-level Award Ceremony was held in the prestigious Sheikh Zayed Centre of FAO Headquarters in Rome, Italy, in presence of more than 170 Heads of State, Ministers, Permanent Representatives and other eminent guests, including FAO Deputy Director-General Ms Maria-Helena Semedo. 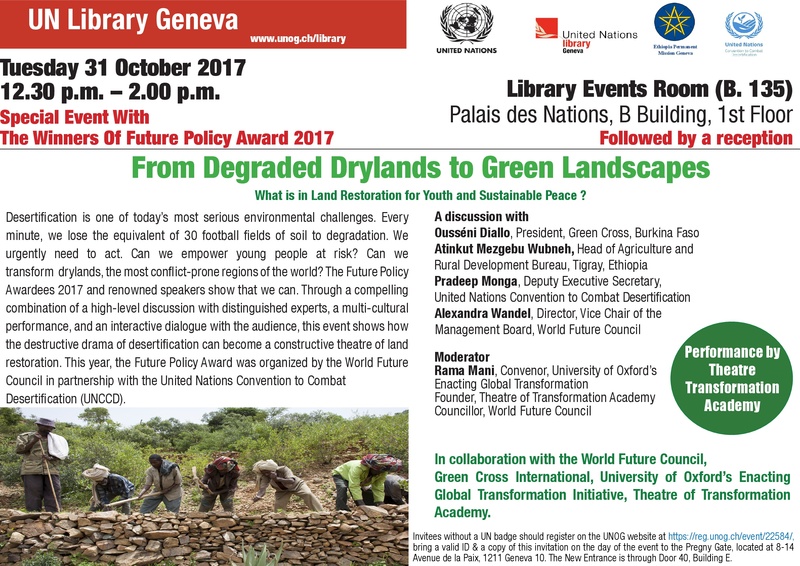 Three World Future Councillors – Prof. Dr Vandana Shiva, Dr. Hans R. Herren and Helmy Abouleish – who are also Right Livelihood Award Laureates were on stage. Among the representatives of winning policies was H.E. 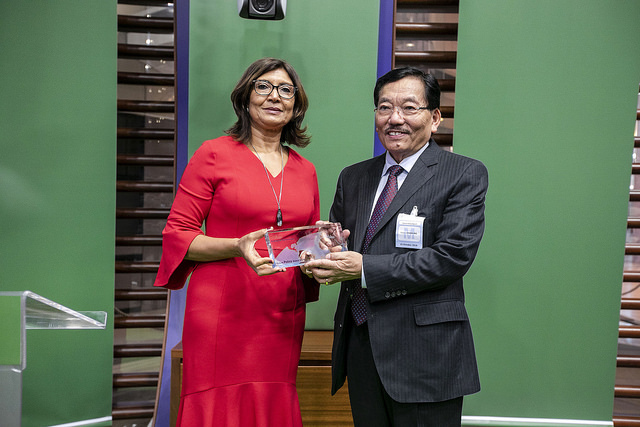 Dr. Pawan Chamling, Honourable Chief Minister of the Indian State of Sikkim, who received the Gold Prize for having realised the first organic state in the world. H.E. Dr. Chamling was accompanied by an entire delegation, including Mr. Somnath Poudyal, Agriculture Minister of Sikkim, and Mr. Mani Kumar Pradhan, Director of Sikkim Organic Mission. Ms. Vibeke Gram Mortensen representing the current Danish Minister for Environment and Food, Hon. Mette Gjerskov, former Minister for Food, Agriculture and Fisheries, and Mr. Paul Holmbeck from Organic Denmark all came to collect the Silver Award for Denmark’s Organic Action Plan of 2011-2020, which resulted in Denmark having today the highest market share of organic products in the world. From Brazil, H.E. Alberto Beltrame, Minister of Social Development, joined, along with Ms. Lilian Rahal, National Secretary for Food and Nutrition Security, Mr. Henrique Villa da Costa Ferreira, Executive Secretary for Sustainable Development Goals, Mr. Rogério Augusto Neuwald, Executive Secretary of National Commission of Agroecology and Organic Production (CNAPO), and Ms. Maria Verônica de Santana, Executive Secretary of the Northeastern Rural Worker’s Movement (MMTR-NE). Together, they were handed over the 2nd Silver Prize for the country’s Policy on Agroecology and Organic Production, which in its first cycle of activities led to impressive quantitative results in terms of advancing the agroecological agenda in the country (budget and initiative-wise), investing over EUR 364 million. 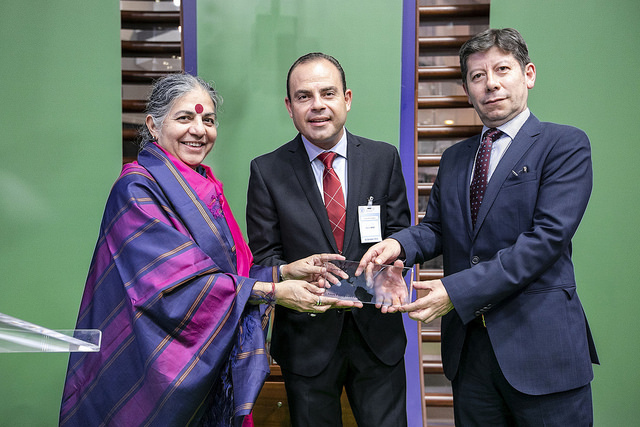 The third Silver Award that went to Quito’s Participatory Urban Agriculture Programme AGRUPAR, Ecuador, was personally accepted by Mr. Alfonso Abdo, Executive Director of CONQUITO. 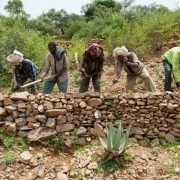 AGRUPAR fosters food security, increases incomes, and enhances ecosystem functions, and led to over 3,600 urban gardens growing on 32 hectares and more than 21,000 people trained in ecological production. 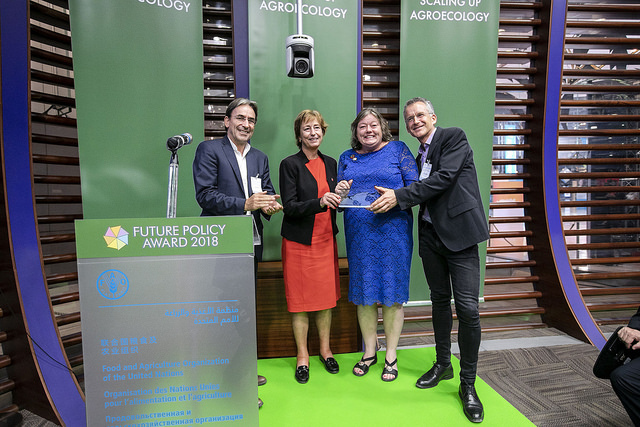 This year’s Future Policy Vision Award honoured TEEBAgriFood, a unique comprehensive evaluation framework which allows assessing of impacts and externalities of food systems. 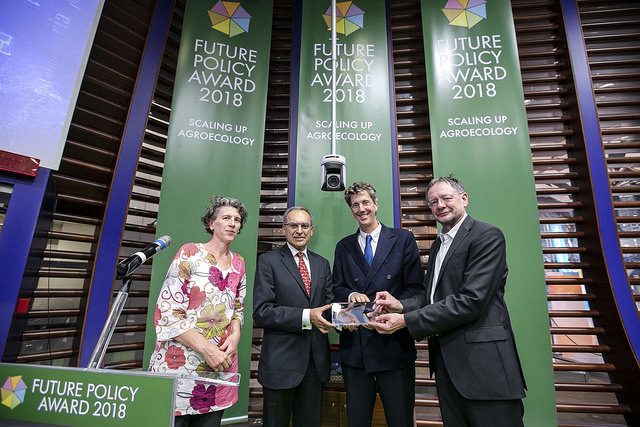 The trophy was proudly received by Dr. Steven Stone from UN Environment, Mr. Pavan Sukhdev, Goodwill Ambassador of UN Environment and former World Future Councillor, and Mr. Alexander Müller, TEEBAgriFood Study Leader. 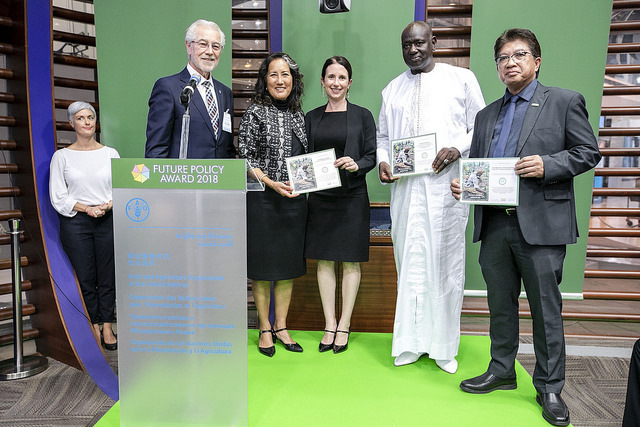 Mr. Rommel C. Arnado, current Mayor of Kauswagan in the Philippines, Mr. Oumar Bâ, current Mayor of Ndiob and President of REVES, Senegal, and Ms. Paula Daniels, Chair of Board and Co-Founder of Center for Good Food Purchasing, and Ms. Alexa Delwiche, Co-Founder and Executive Director of Center for Good Food Purchasing from Los Angeles, USA came personally to receive the Honourable Mentions for Kauswagan’s From Arms to Farms Programme of 2011, Ndiob’s Vision to become a green, resilient municipality of 2014 and Agriculture Development Programme of 2017, and the Good Food Purchasing Policy that was first adopted by Los Angeles in 2012. After the Award Ceremony all guests were invited to a 100% organic cocktail reception. Partners, awardees and speakers then came together for a Roman agroecological dinner, which rounded off this exceptional occurrence and celebrated the eve of World Food Day with local, healthy, organic and agroecological food. 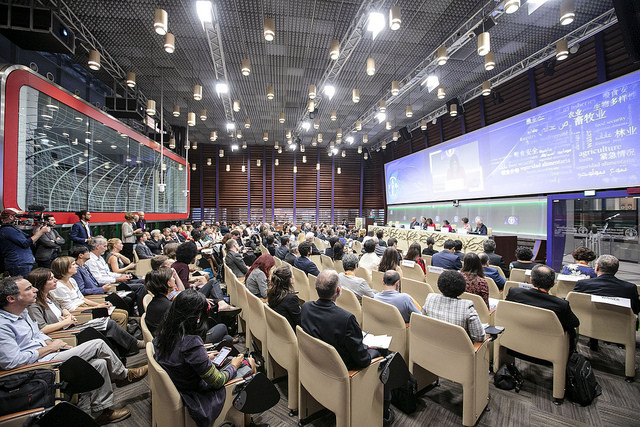 NOTE: All images shown in this post are the property of UN FAO, ©FAO/Giuseppe Carotenuto. Available via Flickr. Nairobi, 6 October 2014: Several members of National Parliaments and Senators from Ethiopia, Kenya, Malawi, Uganda, Zambia and Zimbabwe declared their commitment to take leadership in saving forests and restoring land at the 3rd Inter-Parliamentary Hearing on ‘Forests for People’ which took place in Nairobi, Kenya, last week. 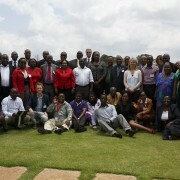 Nairobi/Hamburg, 30 September 2014: An Inter-Parliamentary Hearing on exemplary African forest policies was officially opened with a ceremony at the KICC in Nairobi today. Honourable Ekwee Ethuro declared the hearing officially opened and highlighted the importance of forests to the country. 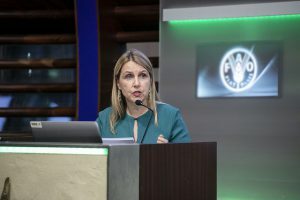 Mexico City: At the 2nd World Summit of Legislators, the WFC, GLOBE and CISDL presented the Biodiversity Legislation Study that analyses and compares comprehensive biodiversity laws from eight countries. 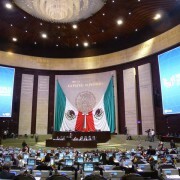 Over 300 high-level representatives and national legislators from all over the world attended the summit hosted by the Mexican Congress. 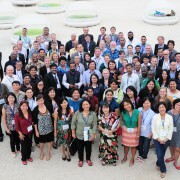 Cebu: Decision makers and practitioners from 17 countries in Asia and the Pacific convened in Cebu City in the Philippines to exchange experiences and solutions in marine and coastal management as well as governance. 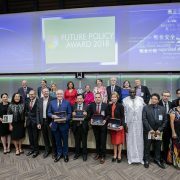 To shine a light on good solutions that already exist, we showcased the winning policies of the Future Policy Award 2012 on Oceans and Coasts – three of which stem from the region. We are happy to have wonBlue Solutions and the Lighthouse Foundation as partners for this event. Read our press release here. Cebu City/ Hamburg/ Eschborn, 28 May 2014: Marine ecosystems are of vital importance for Asia and the Pacific: the region’s rich oceans and coasts are home to diverse species and ecosystems that provide an important food source for over 120 million people as well as valuable services for tourism and recreation. Coral reefs and mangroves protect the coastlines from tsunamis and storms. These vital functions of the oceans are threatened by habitat loss, overfishing, pollution and climate change. San José/ Hamburg/ Eschborn, 20 September 2013: Legislators, policymakers and experts from Central American and Caribbean countries have highlighted successful measures as well as challenges for conserving biodiversity and marine ecosystems during a 3-day Inter-Parliamentary Hearing on exemplary biodiversity and marine policies in San José, Costa Rica. Nagoya/Hamburg/Montreal, 25 October 2010. 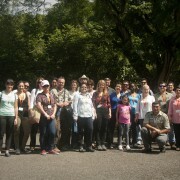 As proven by the Costa Rican Biodiversity Law, exemplary biodiversity legislation can be successfully put into practice. 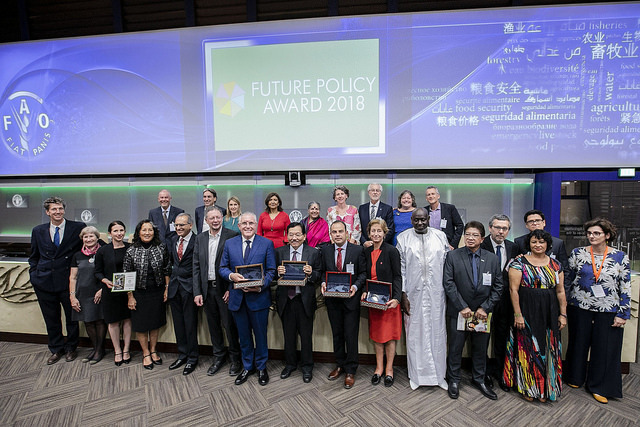 On 25 October, delegates, ministers, decision-makers, media and donors gathered at the Future Policy Award 2010 Ceremony in Nagoya, Japan, to witness the first prize be awarded to Costa Rica and to celebrate the Costa Rican Biodiversity Law as a milestone of excellence in meeting the goals of the UN Convention on Biological Diversity. 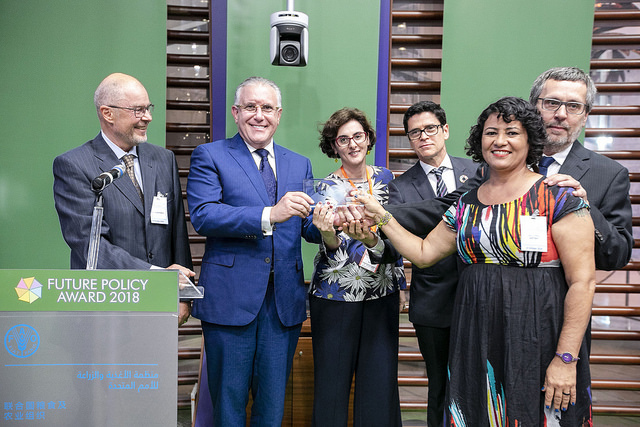 The effects of the law are outstanding: With 26% of its total territory designated as protected areas, Costa Rica is the first developing that succeeded in halting and reversing deforestation. Moreover, the country ranked first in the Happy Planet Index 2009, and is a recognised pioneer in ecotourism.